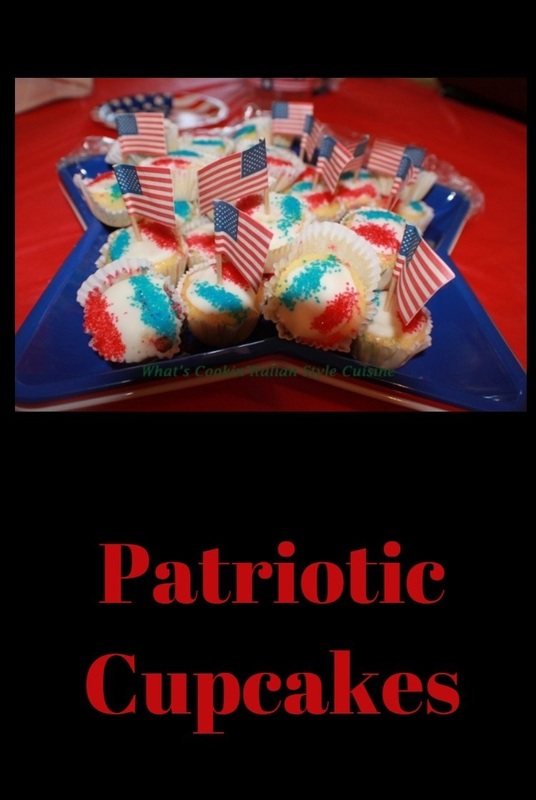 Here is a fun and easy cupcake when entertaining guests or bringing something to a Patriotic party that's festive! 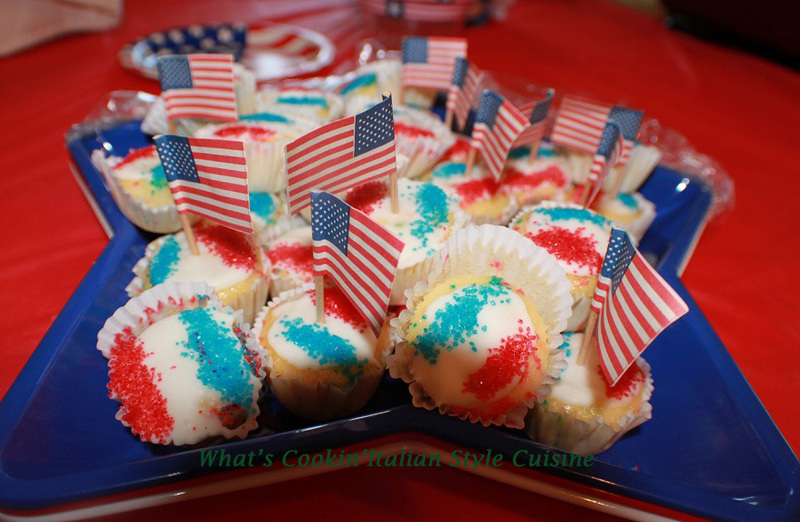 This is just a quick and easy fix when you're asked to bring something to a Patriotic event! Just a fun easy suggestion to decorate your tables with these pretty festive cupcakes. The kids will have fun making them. I highly recommend the homemade recipe to make them super special. Let's get started to get your festive looking cupcakes! Make them as easy as possible use a mix! You can make my homemade recipe or use any kind of cake mix! 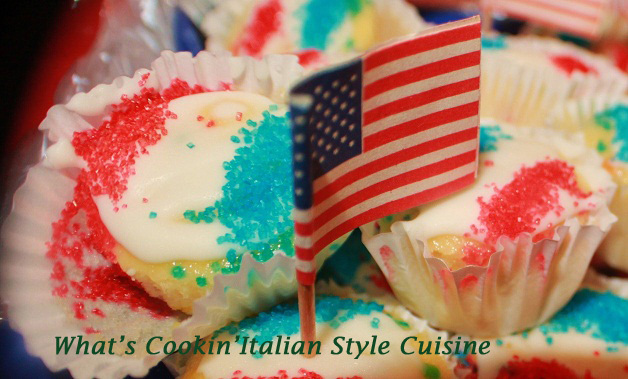 What better way than to celebrate your favorite Patriotic event than with these Patriotic Red White And Blue Cupcakes? Spread the cooked cooled cupcakes with vanilla icing. Sprinkle one side with blue, leave the white in the middle and red at the end. With an electric mixer in a medium size bowl beat the sugar and butter together until light around 4 minutes. Add the vanilla, eggs, milk to blend then add the, baking powder, salt then the flour a little at a time. Proceed with above instructions for cupcakes. Bake 25 to 30 minutes until centers come out clean with a toothpick. Blend in a medium sized bowl the cheese and vanilla with a fork adding the powdered sugar a little at a time. Add some water if too thick to spread, 1 teaspoon at a time.